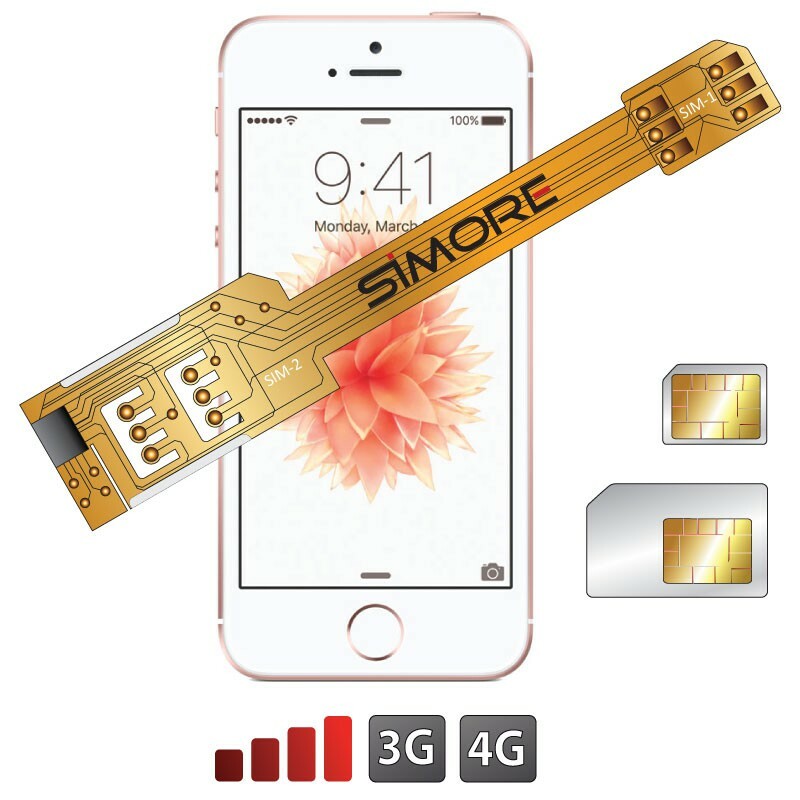 Install 2 SIM cards in your iPhone SE. The DualSIM case adapter X-Twin SE allows you to have 2 SIM cards in your iPhone SE. Perfect to separate your business and your private life and/or avoid international roaming fees. Switch from one SIM to the other without turn OFF your smartphone. The Dual SIM card case X-Twin SE includes the shortcut function. You can switch between both SIM cards by dialling #11 (SIM-1) or #22 (SIM-2) directly via your iPhone SE keyboard. You switch from one number to the other in two clicks and choose your SIM to make and receive calls, send and receive SMS, and access data and browse Internet. With this ergonomic dual SIM case, your iPhone SE is fully protected while keeping all its available features (buttons, connectors and camera of your cell phone).